THE UPPER Denkyira Police Command has launched a search for the Chief of Denkyira Obuasi, Nana Agyei Nkyeree II for allegedly contracting fake national security operatives to abduct and kill three persons. 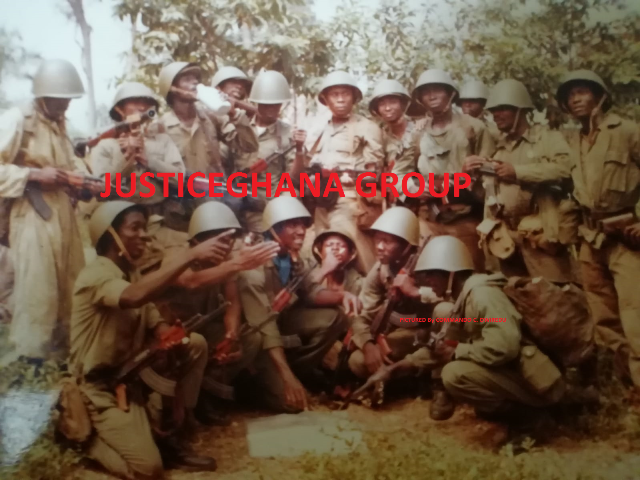 The chief known in private life as Kojo Nyanor is said to have contracted three macho men from Accra namely Wobiri Bright, Benjamin Blankson and Ebenezer Adotey (deceased) to kill Kojo Nti aka Alhaji, Bernard Opoku, a claimant of the stool accepted by the kingmakers, and Nana Ata Yaw, Krontihene of Denkyira Obuasi. According to the police, Benjamin Blankson, who is currently in custody alleged admitted that they were contracted by the chief together with his brother-in-law, Alex Antwi Adjei based in Norway, to kill the three persons for a fee of GH¢3,000. Blankson alleged they were given GH¢150 to fuel their vehicle from Accra to Denkyira Obuasi for the operation. It is alleged that on reaching the village, Antwi Adjei took them to a room full of ammunition and gave them one shot gun bearing the initials A.A.A (Alex Antwi Adjei) and they set off at 2:00am. The police said when the group arrived at Kojo Nti’s house, they posed as national security operatives sent to cause his arrest, but Nti insisted on seeing their ID cards before going with them. He was overpowered and handcuffed but his wife came out shouting for help and neighbours rushed to his rescue. In the process, Blankson was nabbed, Wobiri absconded while Adotey was lynched. Nti told DAILY GUIDE the macho men were allegedly led to his house by one Yaw Nsowaa, a brother to the chief and Koo Dwour, a brother to Okyeame Asare, who is a close ally of the chief. He continued that his attackers hit him in the stomach and tried to smother him. He said at a point he thought he would certainly die until his wife came to his rescue. Meanwhile calls to the accused chief’s mobile phone for his side of the story went unanswered. Blankson is now in police custody assisting in investigations whiles Adotey’s body has been deposited at the Dunkwa Government Hospital.